Can it be? Is it already that time? Why yes, it’s another edition of Saturday Night Movie Sleepovers! This week marks the 105th anniversary of the R.M.S. Titanic sinking, and having a resident expert at SNMS on the ocean liner and disaster that occurred in 1912, J. Blake and Dion Baia figured they’d pay their respects by covering a film based on the widely popular Clive Cussler novel that took the real-life event and turned it into a McGuffin for a Cold War-era espionage, intrigue, and deep-sea adventure filled story! Yes, the boys are diving to the bottom of the Atlantic this go around to take on the juggernaut Raise the Titanic, from 1980! This becomes the ‘conspiracy theory episode‘ for the Blake and Dion, as they jump right in and layout some ‘alternate facts‘ that have recently come to light as to the real details concerning this great ship’s sinking, in an attempt to: A.) Explain to you what you didn’t know about that faithful night; B.) What you couldn’t have known, concerning facts that have been virtually ignored for over 105 years, and C.) Tell you what they never wanted you to know, surrounding the sinking of the White Star Line ocean liner. The boys unravel an elaborate and long-winded story (boy, Dion sometimes can go on, and on, and on, and-) that only recently has been getting some traction within scientific and Titanic-historian circles, which was supposedly buried for fear of international scandal in a pre-WWI era. After this extensive yarn, the boys then jump head-first into Raise the Titanic, by going into the background of mega-author Clive Cussler and what led to his decision of not working again with Hollywood (after this movie) for almost 30 years. 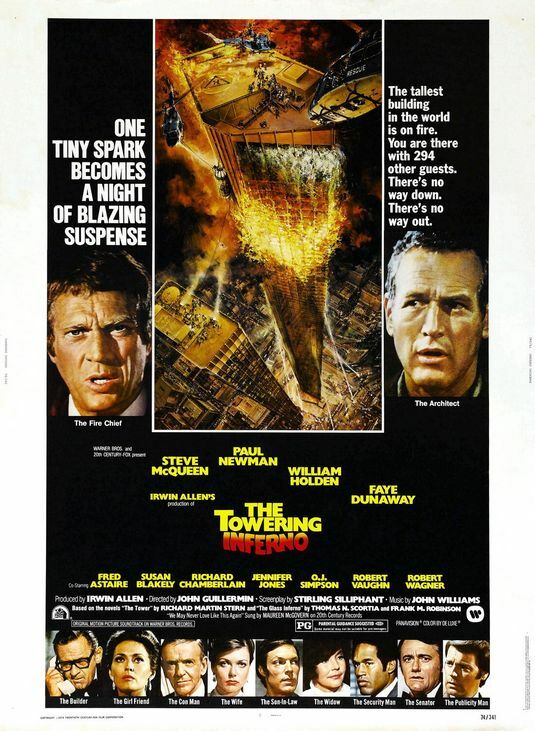 Dion and Blake also go into why this film ended up being the most-expensive film to date, and why this could be a great example of why the industry completely embraced CGI technology in the following decade, versus shelling out millions of dollars for practical effects. They also talk about the glorious soundtrack by composer John Barry and the speculation about the fate of this and other works of art that become deemed “lost.” So why did the movie flop at the box office? Why did the film’s budget skyrocket and almost triple, with the model and water tank costing 1 million more than it cost to construct the actual RMS Titanic in unadjusted 1912 dollars? Only recently declassified, what was the real reason oceanographer Robert Ballard was out snooping around in the Atlantic in the first place? How does the final film version of Raise the Titanic differ from the original novel? And most importantly, are the facts as you know it about the Titanic‘s sinking that fateful night the real story ? Well, if you want to know or not, the fellas put all the pieces together for you this week in another enthralling edition of Saturday Night Movie Sleepovers! Here is the entire movie Raise the Titanic from 1980, courtesy of YouTube! Have a look at the ‘supposedly’ alternate opening for Raise the Titanic. 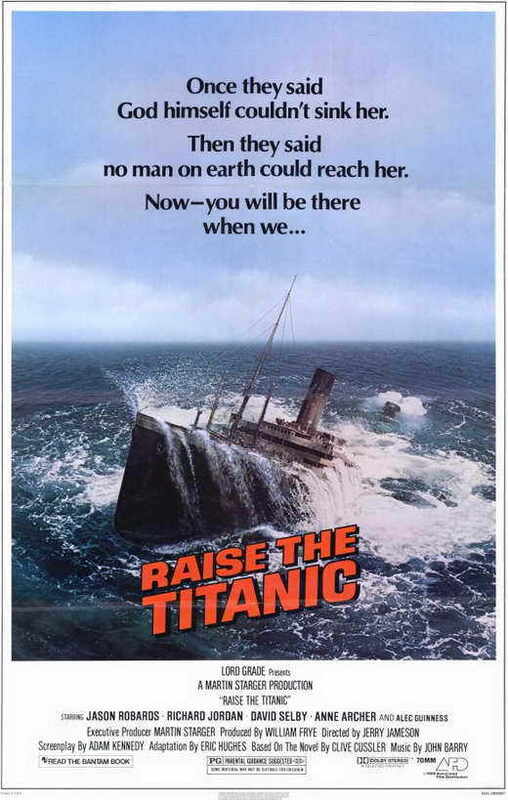 Please have a listen to what critics say may be John Barry‘s best score, which was for Raise the Titanic. Take a look at this great website, dedicated to all things concerning Raise the Titanic, from the Clive Cussler book, to the live-action film. Here’s a link to the 1977 comic strip, faithfully adapted by artist Frank Bolle of Cussler‘s Raise the Titanic! Check out this video by the group Titanic Truths LLC Historical Preservation and Salavage Design Company and their current, 2017 plan to actually raise the Titanic wreck from the bottom of the Atlantic! For more info, here is Titanic Truths LLC‘s main website. Take a look at the huge Titanic model used in the 1980 film as it sadly looks in 2017, rotting away in Malta. If you liked the historical background in the episode, check out D. E. Bristow‘s out of print book, Titanic: Sinking the Myths. Watch the entire TV special Return to the Titanic, that aired on October the 28th 1987 hosted by Telly Savalas, that was live from Paris (not London, as Dion remembered). Here is a 2011 article Dion wrote about the conspiracy theory that the RMS Titanic was switched out by her sister ship, the RMS Olympic before her 1912 maiden voyage. And if you want, you can now watch the Titanic sinking in REAL TIME, per this animation courtesy of YouTube.